Chamonix is near Geneva international airport (in Switzerland), to which it is connected by an expressway. The Mont Blanc Tunnel provides direct access from Italy. Located at the foot of Mont Blanc en France, Chamonix is easy to reach by train, car and aeroplane. Geneva, Lyon and Milan airports are respectively 1 and 2 hours from Chamonix. There are regular trains to Chamonix from Paris, Lyon, Annecy, Bellegarde, Geneva and Martigny. 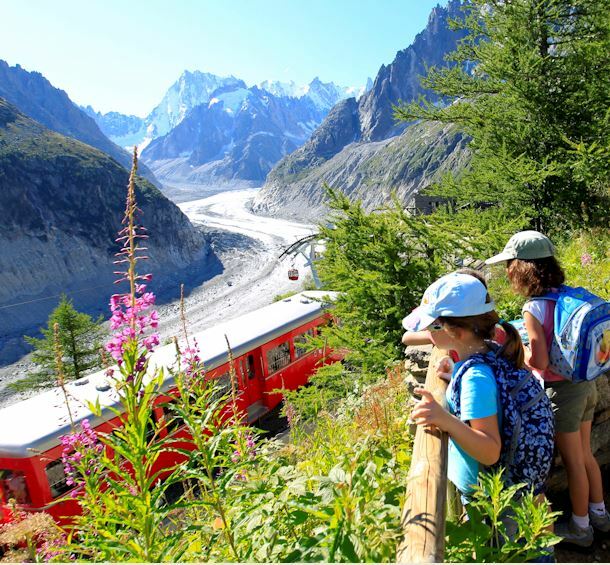 Free train and bus services in Chamonix Valley! From an airport, a railway station, a city, etc. Maps of the Valley, towns, villages, pistes, etc.